Harare, Nov 17 (Just News) : Zimbabwe opposition leader Morgan Tsvangirai said on Thursday president Robert Mugabe should resign in the interest of the country after the military seized power. ‘In the interest of the people, Robert Mugabe must resign and step down immediately,’ Tsvangirai, leader of the Movement for Democratic Change, told a news conference, reading from a statement. 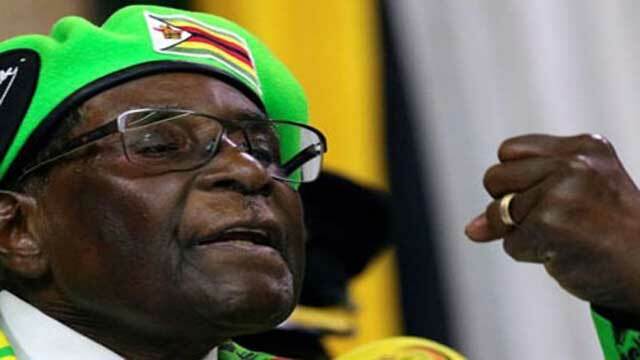 The last of Africa’s state founders still in power from the era of the struggle against European colonisation, Mugabe is still seen by many Africans as a liberation hero. But he is reviled in the West as a despot whose disastrous handling of the economy and willingness to resort to violence to maintain power pauperised one of Africa's most promising states. Once a regional bread-basket, Zimbabwe saw its economy collapse in the wake of the seizure of white-owned farms in the early 2000s, followed by runaway money-printing that catapaulted inflation to 500 billion per cent in 2008. Millions of Zimbabweans, from highly skilled bankers to semi-literate farmers, emigrated, mostly to neighbouring South Africa, where an estimated 3 million still live. After briefly stabilising under a 2009-2013 power-sharing government, when Mugabe was forced to work with the opposition, the economy has once again cratered, with dollars scarce, inflation surging, imports running out and queues outside banks.